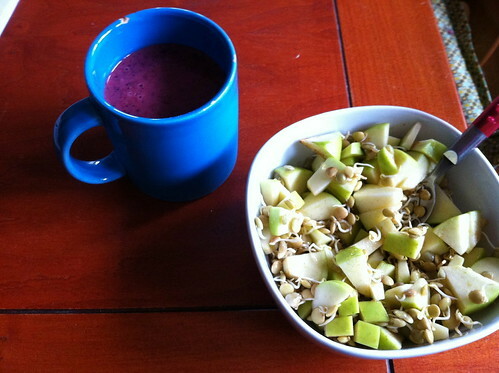 blueberry strawberry smoothie and sprouted lentils with apples, a photo by unglaubliche caitlin on Flickr. sprouted lentils make a great breakfast. i love them, except they are a pain to wait for.